The Czech Republic is a land of beer, everybody knows that. But the Czech beer is not all about Pilsner Urquell, Budweiser or Staropramen. There is more than 380 breweries in the country and this number increases every year, mostly thanks to microbreweries. These small breweries are very popular lately amongst Czechs, especially those who are tired of drinking same brands over and over and want to try something different. 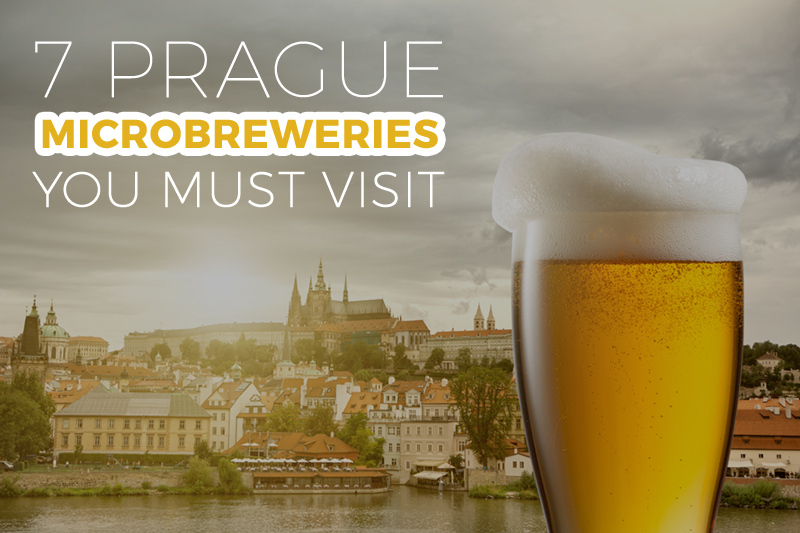 Good news for Prague visitors - you can even find microbreweries with their own restaurants in a center of Prague! Let's take a look at them. Just 2 minutes walk from our Residence Karolina, next to the National Theatre, you will find a new brewery Pivovar Národní opened in 2015. It brews its own beer Czech Lion - you can choose from 3 different beers - 11° pilsner pale lager, 11° unfiltered lager or special 13° semi-dark lager. With the beer you can order Czech specials and grilled meals like duck breast with cherry sauce, grilled pork neck steak marinated in beer or beef flank steak. Even though the interior is spacious and it has two floors it can get quite busy (mostly on Fridays and Saturdays) - table booking is recommended. Famous brewery U Medvídků has been brewing its beer since the 15th century. They say they are the smallest brewery in Prague with the strongest beer in the world. Their beer selection is truly impressive - you can taste unfiltered lagers, 12° wheat beer, special dark beer with extra roast barley, 15° special light beer, 13° semi-dark lager Oldgott or the strongest beer in the world X-BEER 33 fermented in oak barrels for a period of 200 day. You should also try other specials - a beer ice-cream made from their Oldgott lager, a unique beer brandy Pivovice X40 or a beer chocolate. Of course you can also taste traditional Czech dishes or buy a bottled beer as a souvenir. What more, it is also very close to the Residence Karolina, just 4 minutes walk. U Fleků is probably the most famous Prague microbrewery and a very popular restaurant. 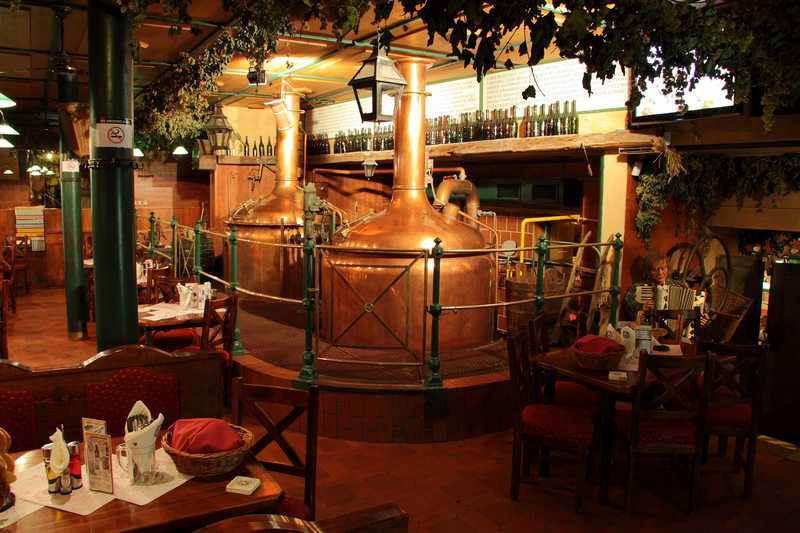 Its history dates back to 1499 and it is the only brewery in central Europe which has been brewing beer for more than 500 years with no break. 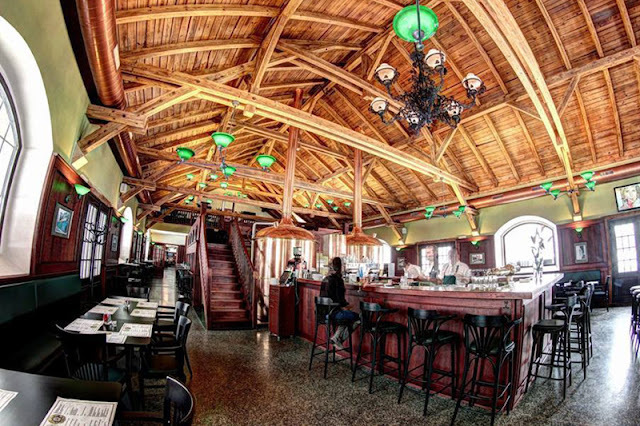 You can get their typical 13° lager "Flekovský ležák" and choose from a large selection of Czech meals - goulash with dumplings, beef in cream, roast pork with cabbage and many others. Very popular is also their Show U Fleků with old Czech folklore music, humorous skits and even a beer competition. Also not far from the Residence Karolina, only 6 minutes walk. The brewery was founded in 2015 but it follows a tradition dating back to the 15th century. They brew their beer in four fermentation tanks on only 150 square feet. You must try a unique 14° ale Tribulus made of a plant tribulus terrestris also know as goat's head or devil's weed. Another special beer is a dark beer Salvia Stout 14° with sage (salvia officinalis). They also brews special beers for every season - in 2015/16 it was Mentha Summer Ale with mint for summer, Melissa Ale with balm for autumn and winter Hippophae Ale. We can recommend also Lemongrass Ale 11°. You will find it half way from the Residence Karolina to the Charles Bridge. Another brewery that is worth a visit is Novoměstský pivovar. 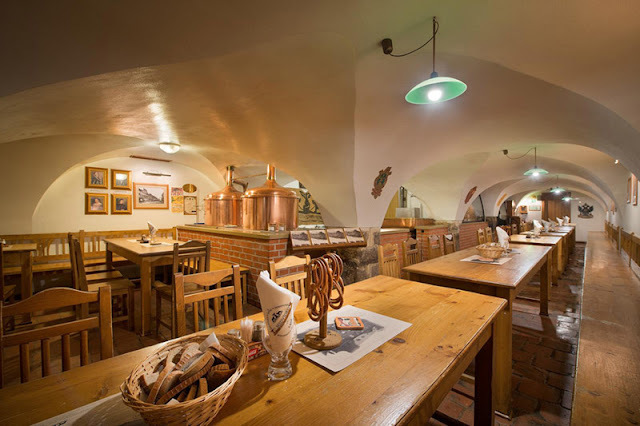 You can enjoy traditional Czech dishes (garlic soup, goulash, pork knee and others) and of course a great beer - light or dark lager "Novoměstský ležák". Do not hesitate to try "pivní žirafa" (can be translated as "beer giraffe") - you will get a tall tube of beer and you can serve yourself. If you want to try flavoured beers just order a beer tasting (4 different flavours - banana, ginger, coffee and caramel). They also make a beer spirit and a beer sparkling wine. For beer lovers there are also brewery tours where you will see how the beer is made. This brewery is located in Husova street in a center of Prague, not far from the Charles Bridge or our luxury Krizovnicka Apartments. The beer has been brewing for more than 600 years in this very house. They brew various kinds of beer, both bottom and top-fermented - special dark beer Dark Rose, bavarian type Old Bavarian, special amber beer Smoked Amber, American style Weissbeer and others. Taste also delicious meals - roasted pork knee, spicy beef goulash, confit duck leg or roasted beef with creame sauce. Marina Brewery is not located in a very center of Prague but you shouldn't miss it anyway. You'll find it in Holešovice, Prague 7, in a beautiful building just next to the Vltava river. In a stylish interior you can order one of 4 kinds of beer - 10° light lager, 11° wheat lager, 12° lager and a dark lager. Local meals are made in an open kitchen and you can get goulash, roasted duck, grilled pork neck and many others. To get here just take tram 6 or 14 and get off at Maniny stop. In summer you can even enjoy an outside seating with wooden tables. 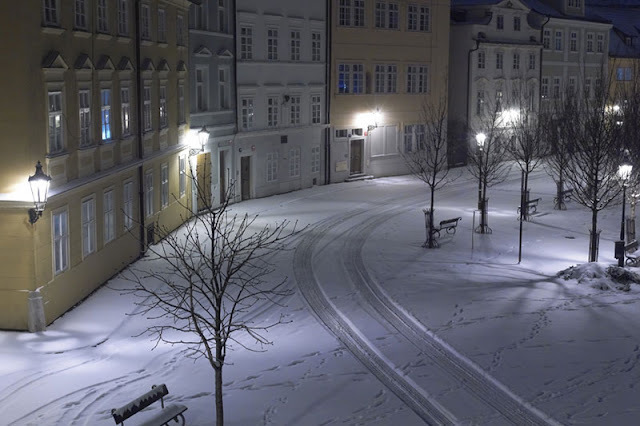 Snow and ice everywhere, temperatures dropping to -15 °C and you don't even want to leave your apartment? 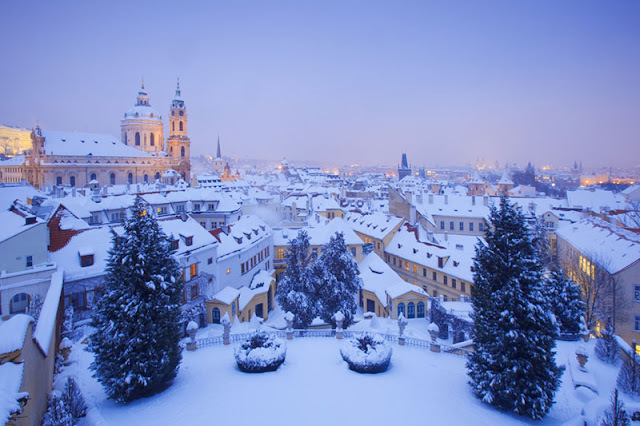 Prague City Apartments gathered 10 awesome tips for winter days in Prague you will love. Get your warmest clothing and let's start! From the Charles Bridge take a walk along the Vltava river. 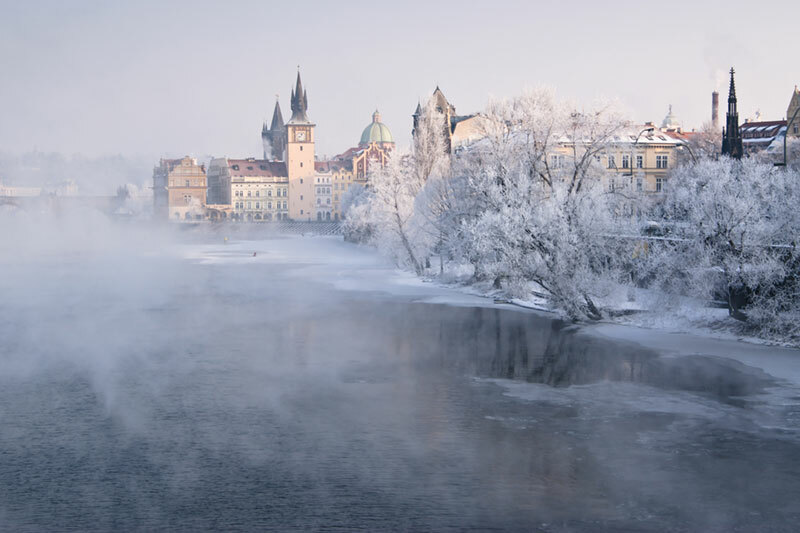 If you're lucky enough, Vltava will be frozen and you'll get an unforgettable view of the Prague Castle and the Lesser Quarter with white roofs (not red this time). You'll pass a number of monuments and famous sights like Kranner's Fountain or Manes Exhibition Hall. You can have a coffee in Café Slavia or continue to the Dancing House. 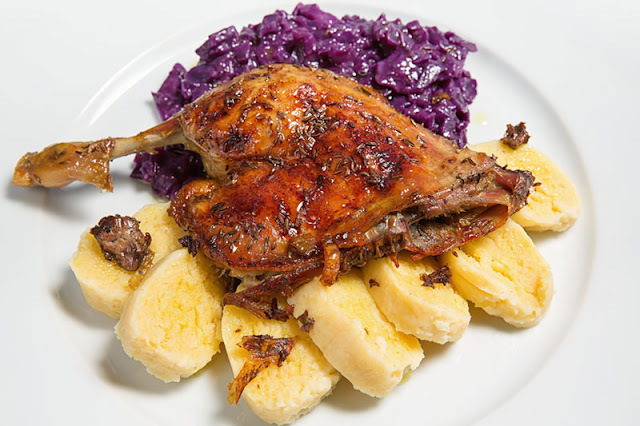 In a cold winter there is nothing better than a proper Czech meal for a lunch. It warms you for the rest of the day. Our recommendation? 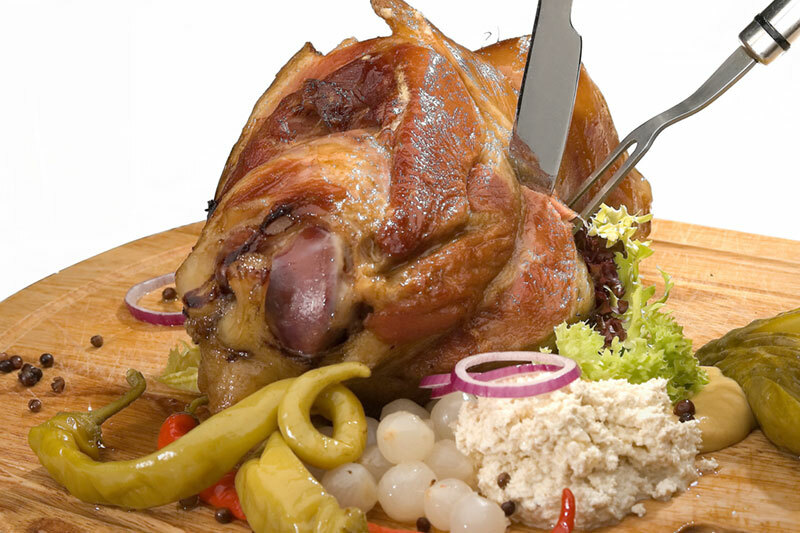 Definitely a pork knee served with dumplings and cabbage or with sauerkraut and potatoes. You can get it in Mlejnice restaurant in the Jewish Quarter (Zatecka 14 street), only 4 minutes walking from the Residence Brehova or just 1 minute from our apartments Maiselova 5 and Maiselova 17! The National Theatre is one of the most important cultural sights in the Czech Republic. This majestic building overlooks Vltava river since its reopening after a fire in 1883 and Czechs can't be more proud of it. In winter you can see Romeo and Juliet, The Nutcracker and the Cuddly Mouse, La Bayadère or The Little Mermaid. Visit a theatre's website to see a detailed programme. The National Theatre is located just 3 minutes from our Residence Karolina! Well this is not exactly a thing to do in Prague but if you love skiing or snowboarding you can't miss this! Especially if you stay in Prague for more than a few days. You've never heard of the Czech mountains? They are not that high as the Alps but they are beutiful! 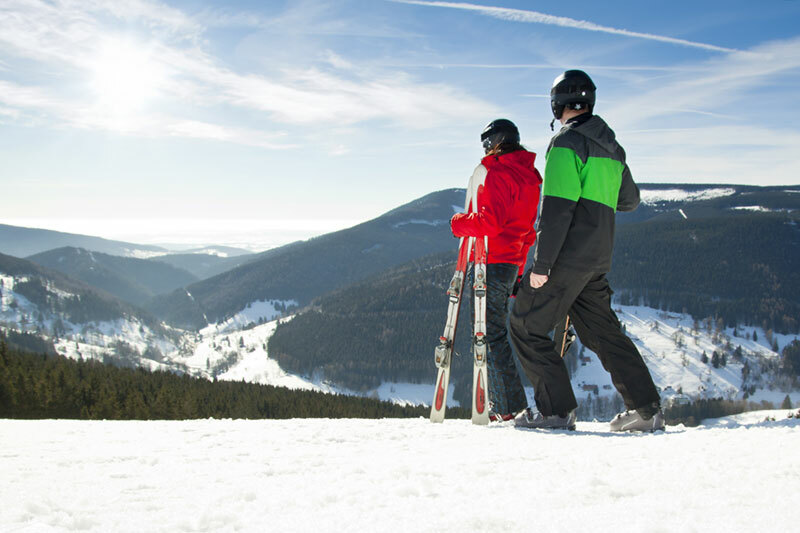 Less than 2 hours drive and you can ski in Spindleruv Mlyn or Harrachov in Krkonose mountains, Klinovec or Bozi Dar in Krusne hory mountains or you can try even Moninec which is just an hour and half from the center of Prague! In every ski resort you can rent a ski set. A great one day trip! 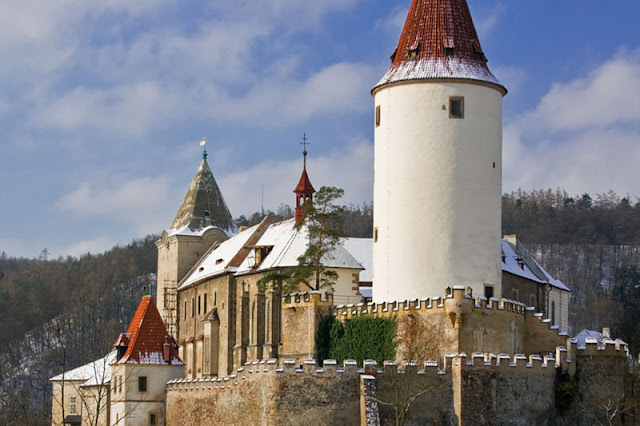 Just 40 minutes drive from Prague there is one of the most popular and most important castles in the Czech Republic, Krivoklat castle founded in the 12th century. Even though the castle's interiors are closed in January you should visit the sight because of its impressive exterior and surroundings. Krivoklatsko is an area with lovely nature, rolling hills and deep woods, great for a winter walk and a delicious lunch in one of the local pubs. If you really want to see the castle chambers and the museum, you can come every Saturday in February from 11 A.M. to 2 P.M. Lesser Town (Mala Strana in Czech) is a district that lies below the Prague Castle on the left bank of the Vltava River. It is connected to the Old Town by the Charles Bridge. There is a large number of notable buildings and interesting places – such as the baroque Church of St Nicholas. In winter you can just stroll around or go to the Petrin Hill - totally different experience in winter! In the winter evening go to the Prague Castle. 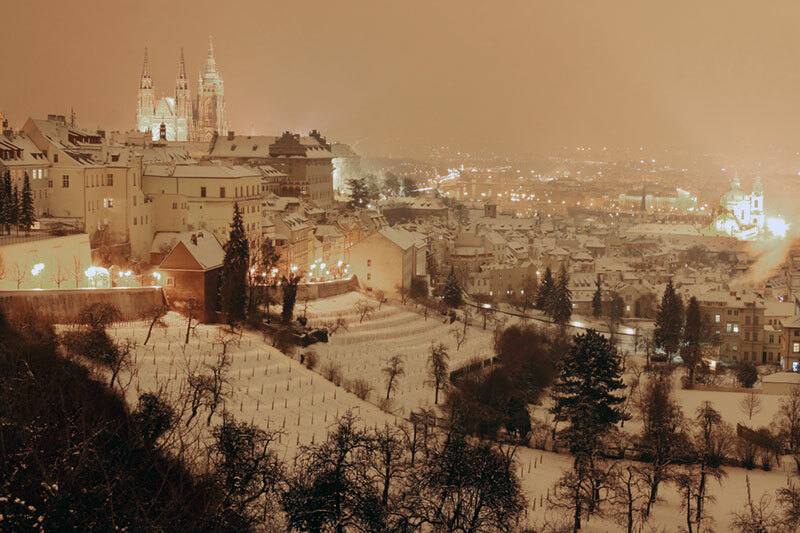 A walk from the Petrin Hill can be especially nice as you will see both the Lesser Town and the Old Town covered in snow! The Castle district has a magical atmosphere in the evening and when it's snowing it gets even better. There is not many tourists up there after 6 P.M. in winter which is a great plus! After a long winter day you will need another delicious Czech meal! It's time for dinner and the best idea is to find a good pub with even better roast duck and the best Czech beer. 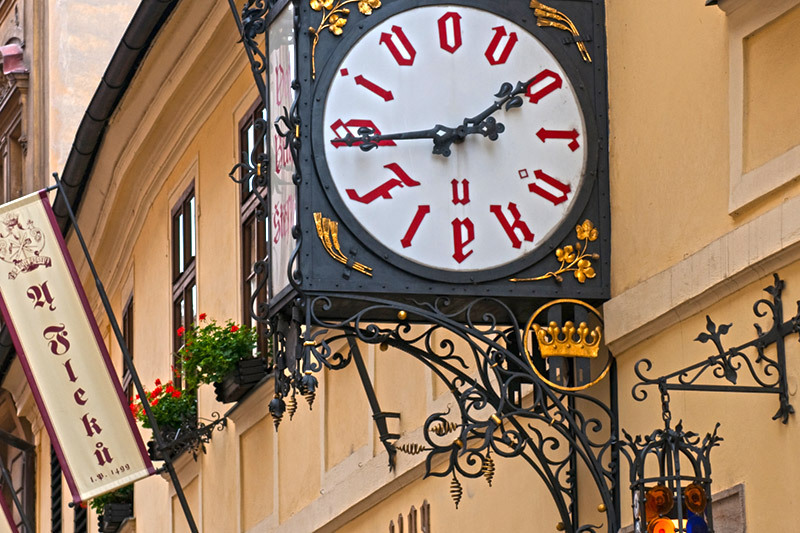 Not far from the Prague Castle you'll find a medieval-style traditional Czech restaurant "U Modre kachnicky" located in Nebovidska 6 street. 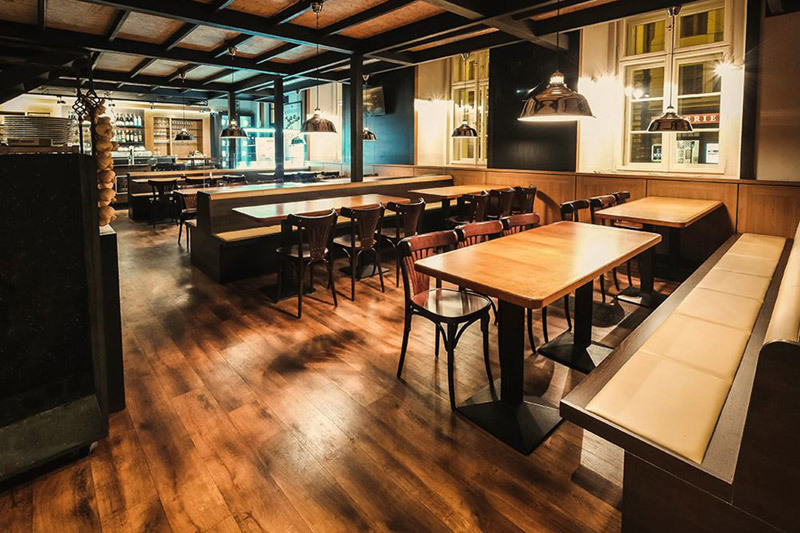 They have another restaurant in Michalska 16 street, just 1 minute walk from the Old Town Square and not more than 10 minutes walking from all our apartments! And finally after a good dinner a night walk comes in useful. You will love a quiet stroll through the romantic corners of the Kampa island. The northern part of the island, the Certovka stream is called the Prague Venice. Definitely visit also the Lennon's Wall or a famous water mill and don't forget to look around at all the beautiful historical buildings. We hope you liked our 10 tips and don't forget to add some more in comments below! 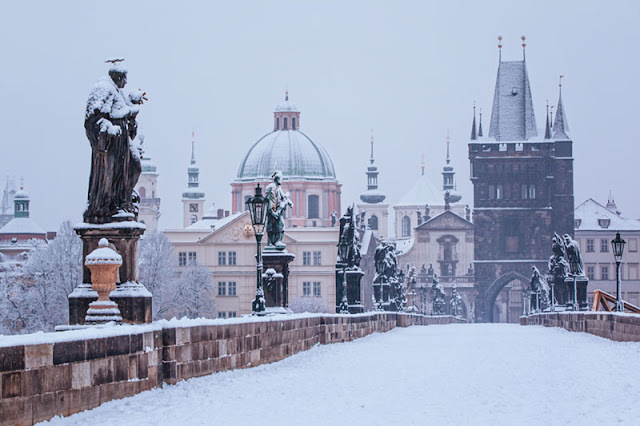 What do you like to do in Prague in winter?